Following use in the multi-award winning Masdar Headquarters building, the greenest mixed-use building ever constructed and centerpiece to Masdar City’s world-leading sustainable urban community, Gyproc’s high performance systems have now been chosen for Neighbourhood One, one of the City’s first residential phases. The Neighbourhood One development, a residential complex designed to achieve extremely demanding LEED Gold and 3 Pearl Estidama sustainability criteria, marks the beginning of Masdar’s major residential development phase. 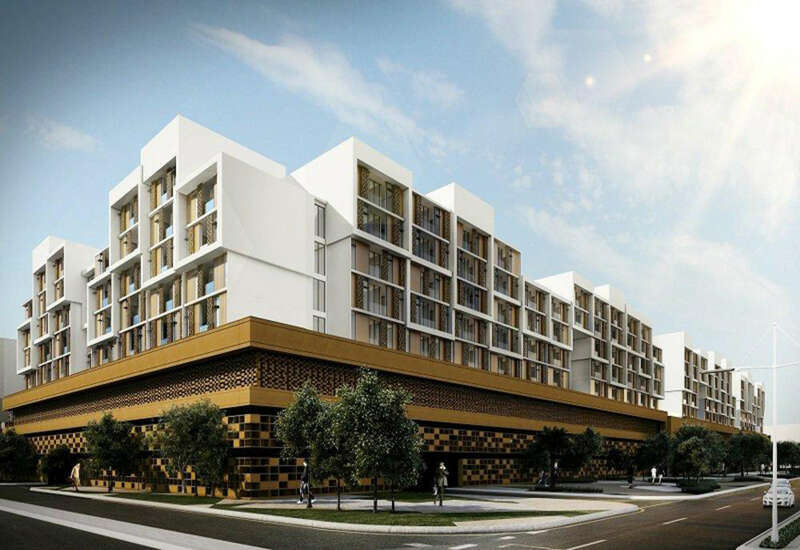 It will provide a total of 500 low-carbon one and two-bedroom apartments with access to gym, retail facilities and other amenities, close to the heart of the unique urban development. GypWall CLASSIC partitions will be used in combination with GypWall QUIET and GypWall AUDIO high performance twin frame acoustic separating walls to optimize sound performance throughout the residential complex which comprises a ground floor and five upper floors set above three basement levels. The Gyproc systems were chosen for their advanced performance and environmental credentials, which contributed significantly towards achieving the development’s groundbreaking sustainability standards. The fast and efficient solutions, based on environment friendly, fully recyclable gypsum plasterboard linings, offer fully integrated solutions and are designed for minimum waste. Being light weight they are easy to handle, manoevre and store on site and their totally dry construction technique helps to create a cleaner and safer workplace. Manufactured and supplied locally, they also offer improved logistics and help to minimize transport-related carbon dioxide emissions. With quality and detailing crucial to achieving Masdar’s demanding environmental standards, Gyproc’s technical and training specialists will be working alongside Abu-Dhabi based Main Contractor, Brookfield Multiplex Constructions LLC, throughout the project, to provide on and off site support for the Gyproc systems, which are valued at almost AED 5 million.